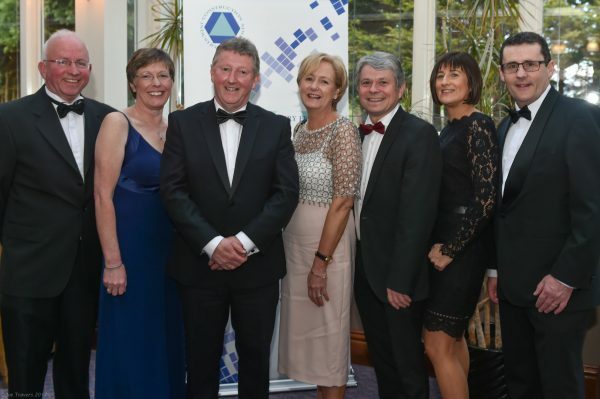 The CIF Western Region Gala Ball took place at the Westwood House Hotel in Galway City after a break of eight years. Money was raised on the night for the RNLI and the Croí Heart & Stroke Charity by over 200 members of the Construction Industry. “Our industry is a solutions industry. Galway will be in the shop window when it becomes the European City of Culture in 2020. We have a once in a century opportunity to show-case how attractive the city and region is for Foreign Direct Investment and as a counter balance to Dublin’s sprawling unplanned growth. We must seize this opportunity to put in place the housing and infrastructure that will put Galway back on the map. “As Galway prepares to start building again and prepares to become the Capital City of Culture, it is the people in this room that will make the biggest contribution. Remember for every employee you have, you support another one in the wider economy. For every euro your business makes, the local economy benefits by €1 euro because you purchase locally. Every house you build supports around three jobs in the economy. Every billion in infrastructure you deliver generates another billion for the economy and 10-12,000 jobs. “This was the first CIF Western Region Gala Ball to take place in eight years and it was wonderful to see so many of our members there to support two incredible charities Croi and the RNLI. Our main sponsor was Roadstone and the entire event has been a testament to the generosity and resilience of our industry. The CIF are lobbying government to invest in regional infrastructure, to support the clusters of economic activity like medtech in Galway and ensure that our members have work closer to home.